We offer over 5,000 different signs and wall decals on our website, with the majority of our signs being vertical rectangles. Sure we offer round, square and all kinds of die-cut shapes but traditionally most signs are designed as vertical rectangles and that’s what this blog is about—taking 4 vertical signs with a related theme and getting creative hanging them. 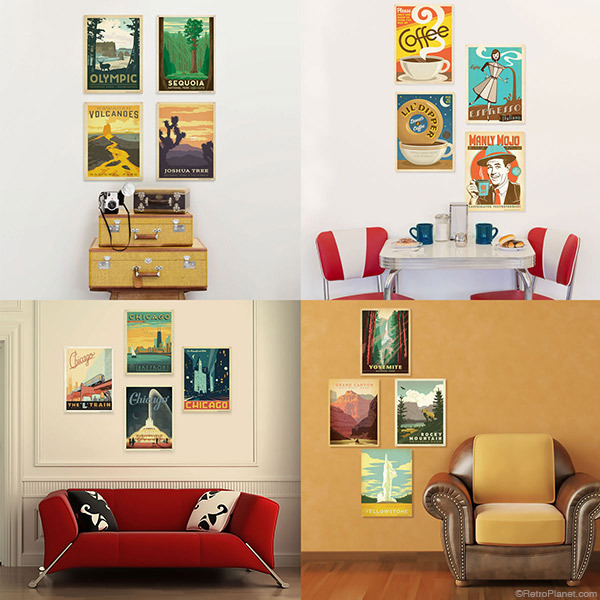 Here are just a few suggestions to get you started hanging your own sign sets. Four signs placed horizontally, vertically and diagonally. With hundreds of different subjects available, we have signs that can be used for decorating the garage, gameroom, kitchen, bathroom or anywhere you would like to spruce up your decor, at a reasonable price. 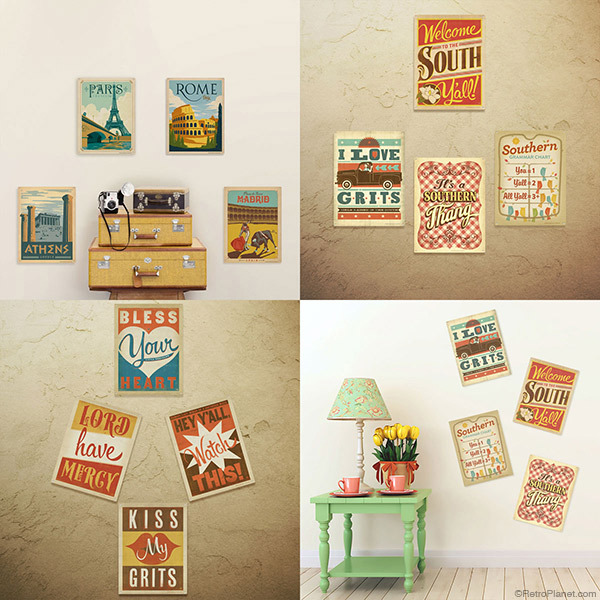 So here are some ideas for arranging those signs to fill a variety of spaces. We decided to use some of our signs created by Anderson Designs, but with our vast selection you can choose any theme to suit your space. We are showing 12 x 16 inch signs for these examples but the concepts apply to other sizes of signs and wall decals as long as you have the space to accommodate them. It’s fun to group signs with related subject matter—it makes a real statement and will add a finished look to your wall decor. For more orderly arrangements, place the signs in a tight rectangular format. 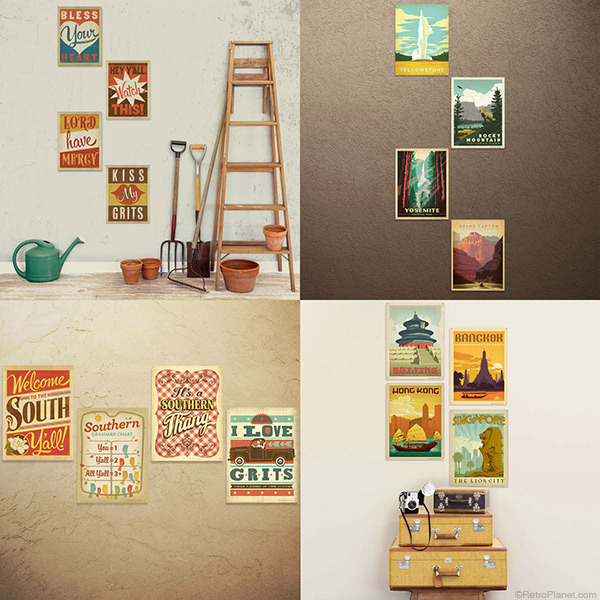 There are tons of options for hanging sets of four signs and many ways to spread them out to fill the available space. A fun way to display a set of 4 signs is to cascade them down the wall. 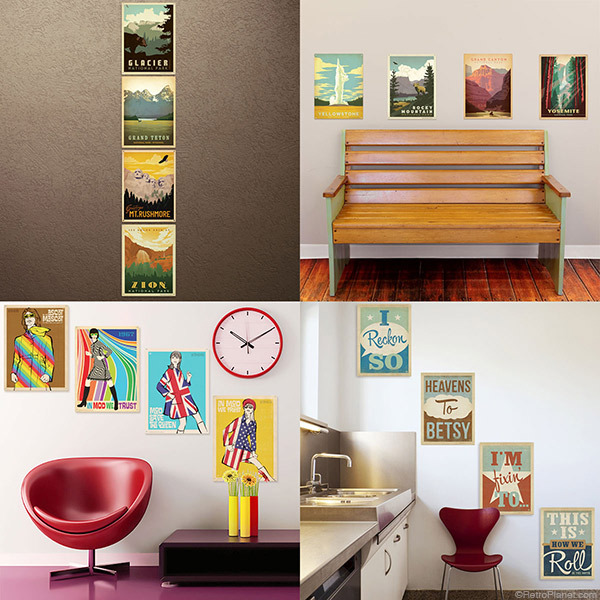 Hanging signs in a slightly random layout can add playfulness to wall decor. When trying to fill a space and create a certain look, 4 signs seems to give the greatest flexibility. But by no means do these examples cover all of the combinations you can achieve—these ideas are just ideas to get you started. 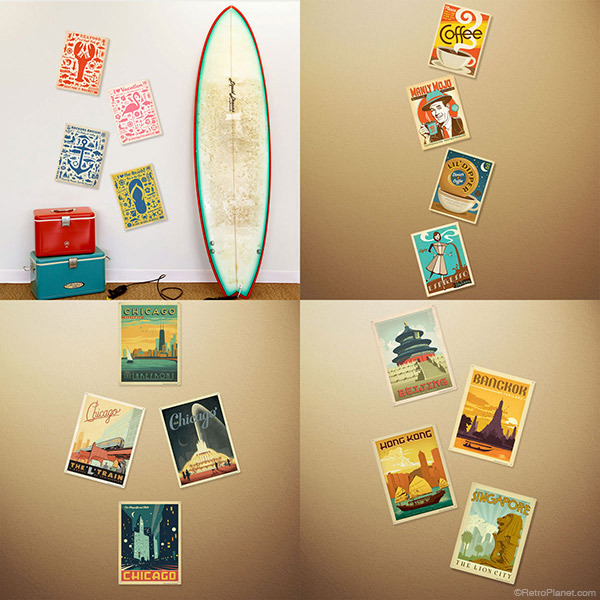 So pick out some signs, hang them using your own creative style, then step back and admire your work. And don’t forget to send us some pictures!